Is self managing a rental property the best way to go? 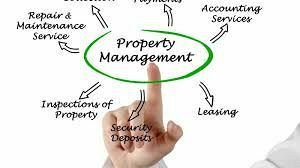 There are a lot of property owners out there who self-manage their rental properties. -Why? Perhaps they are cost cutting, had a negative experience with young and inexperienced agents, emotional attachment to their property, or perhaps they live in the same complex as their investment. When the "cost cut" scenario is the reason for self management this can leave you more out of pocket then paying a good agent. Your personal time is spent on renting, managing and organizing maintenance. And what of the inconvenience of being woken at 1 or 2 am for a maintenance emergency! If you are a private landlord then you need to challenge yourself to think more commercially - what value $$$$ do you place on your time? Could you be of more value $$$$ if you applied your talents elsewhere? We all know the answer to this - YES! The average yearly management fee is approximately $1500 per year or 365 days. This equates to 8760 hours. If we take the average management fee of $1500 and divide it by the number of hours in a year, 8760 this equates to 17 cents per hour for an experience Property Management Specialist. Why would you self manage? Oh! I also forgot! Management fees are tax deductible.